I am from Tarifa, in the south of Spain about an hour from Gibraltar. I obtained my degree in Spain and before coming to England I was working as a teacher in Spain. I have been living and teaching in England from the last three years. I am very persistent, patient, organized and disciplined; I always try to transmit all this qualities to my student. Proven ability to motivate and encourage a learning culture amongst students demonstrated through a number of successful contracts. I share opinions learning from other cultures and teaching my culture to foreign students. I have successfully taught Spanish and English as foreign languages to children, teenagers and adults in Spain and England respectively for more than 12 years. I have a BA (Hons) Degree in English Studies and PGCE at Cadiz University in Spain. In addition, I have obtained a Masters in Teaching Spanish as a Foreign Language at the Spanish University of Alcala de Henares in Madrid. I have a CRB and UK Naric which proves the equivalence of Spanish degree and PGCE. Since I started my career in England, I have been teaching GCSE and A-Levels students preparing them for their speaking, listening, spelling, phonetic and grammar exams. I have also taught student at other ages and reasons: living, family, travelling, holidays, etc… some of them have started from beginner and move to an advanced level. In order to get used to the English curriculum from January to July 2012, I was doing some voluntary work at Faringdon Community College in Oxfordshire. I helped the teacher with the pronunciation and spelling mistakes of the students and to prepare oral exams. I also have taught groups of students and two students of different levels at the same time. Since January 2014, I have been teaching on line different levels students from Wales, Petersfield, Chippenham, Cirencester, etc. I find quite helpful doing teaching on line because you can connect with the student anywhere. I would recommend it as it is similar to any lesson face to face. Normally, I prepare and send the hand-out to them in advanced in order to have the exercises ready for the lesson. Within the lesson I correct the mistakes by giving explanations and examples. I also resolve any questions and doubts students can have. About my experience as a Spanish and English teacher, I notice students learn easily when I explain the difference between the English Language and the Spanish. For instance, I always say the same in the target language (Spanish) and mother language (English). The expressions “Tengo hambre” means “I am hungry”. Spanish is not a language you can compare and translate literary in English, they have not got similarities at all. For that reason, I consider it is easier for the student to understand and compare their native language with the Spanish. As a Spanish native, I am extremely passionate about sharing my language and culture which attracts me to teaching in England. Within my lessons, I always practice some listening, speaking, writing, grammar, phonetic, vocabulary and spelling I think is better to have variety and do different kind of activities. For teaching, I used the books students have and also some I have bought by editorial from Spain such as Edelsa, ELE, Todo ELE, Cervantes, En Clave ELE, etc. I have books from all the levels from beginners to advance. I motivate the students and make them to participate by asking questions. If they are happy to do it I give some homework to practise the contents studied. As a priority, I listen the students’ inquiries and adapt the lessons to their priorities and necessities. On a personal level, I believe one greatest strengths is the ability understand a student’s learning needs & abilities and inspire them to achieve their goals. SebastianaFrom Edward (5/5): Sebastiana is very friendly. I like the structure of the lessons and her teaching style. SebastianaFrom Maxine (5/5): We Skype our lesson each week, even whilst Sebastiana is on holiday in Spain. Friendly, reliable tutor with lots of patience, as I have never undertaken any previous Spanish lessons. SebastianaFrom Joanne (4/5): After only 3 lessons my son is gaining in confidence. Sebastiana e-mails exercises to be completed before the lesson, which are really good and informative. She has a nice freindly manner and is really helping. SebastianaFrom Aurora (5/5): She is a great teacher. If you have doubts she will find for you the best material, books and way to learn. She is very flexible with time. I could reach my learning aims quickly. Her experience in lenguages and range of pupils age (children and adults) make her a teacher with patience and recourses. Nice and profesional. Thoroughly recommended. SebastianaFrom Sandra (5/5): I was really pleased with my first lesson Chani. I think Skype worked well and I'm sure the speaking practise every week will help me to improve my confidence. As discussed I would like to work on learning the verbs as I feel that when I studied them previously I did not have enough practice of each one before moving onto the next and as a result I'm now totally confused with them! I'm sure you will be able to help me with this and look forward to my next lesson. SebastianaFrom Rachael (5/5): I have only had two lessons as yet but immediately found Sebastiana to be everything I hoped for in a tutor. She responded to my request at once, we met to discuss my needs that weekend and I had my first lesson the next day, which was fantastic. Sebastiana clearly loves what she does and cannot hide her enthusiasm for teaching but nevertheless is a very experienced teacher who so far is a flexible, fun person, who is easy to get along with. The lesson is full on from start to finish - and then you get homework! one certainly gets ones money worth. I would recommend her to teach any age level. 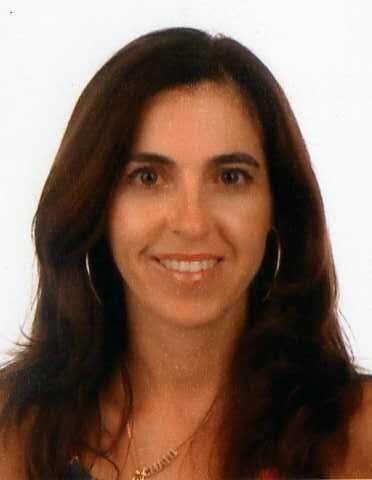 SebastianaFrom Imogen (5/5): Sebastiana is an excellent tutor. She only taught me for 5-6 weeks however I have gained a lot of confidence in my speaking which will be very useful as my A2 Spanish oral is so close. The 1-1 tuition gave me an opportunity to practice answering questions that might come up in my exam and I also managed to start using more sophisticated verbs in my speaking. Sebastiana also helped me with reading, translation and listening too which was also very helpful and she has the resources available for someone trying to improve on their Spanish A level. I highly recommend her as a Spanish tutor! SebastianaFrom Stuart (5/5): We have found Chani's patient & friendly approach very helpful. My 14 year old son lacked confidence speaking Spanish in school lessons and with Chani's help, he is overcoming this. Chani thoroughly researched my son's needs, GCSE progress to date, etc, and we feel her support is helping my son to get back on track to achieve his expected grade. I would be very happy to recommend Chani. SebastianaFrom Madhu (5/5): Sebastiana is a very hardworking and sincere Spanish teacher.She shares a good rapport with my son. She tailors the lessons according to my son's needs .As a result he is more confident about taking his GCSE this May.Thank you Chani! SebastianaFrom Jem (5/5): I would whole-heartedly recommend Senorita to anyone who truly wants to learn Spanish quickly. Ever the consumate professional, she delivers the very best in bespoke langauge training. Senorita is as popular as she is busy so if the opportunity arises to work together then please grasp it with both hands. Thank you very much for your excellent help so far, I very much look forward to your continued help in our future lessons. SebastianaFrom Patricia (4/5): I am very pleased so far with all the lessons I have had, and feel my confidence is returning. I feel able to ask questions on points I don't understand (or never understood!) The fact that the teacher is Spanish helps a lot with pronunciation and listening and we have had some very interesting conversations. I really look forward to my lessons. SebastianaFrom Helen (5/5): I began learning Spanish as a complete beginner with Sebastiana in June 2012. My goal is to learn basic conversational skills for my holidays in Spain. Every week I learn and practice vocabulary and grammar with lesson plans that Sebastiana has pre planned specifically for me based on my requests and her advice on how to keep progressing. The lessons are very friendly and relaxed with good flexibility for spending longer on difficult things or fast forwarding through topics that I can learn quickly. There is no pressure during the lessons and I always feel supported and encouraged. I request homework each week to enhance and consolidate what was covered in the lesson. This only takes me approximately half an hour each week revisiting the handouts or practising certain subjects. I really enjoy my lessons and feel that I make good progress. I have been to Spain on holiday with only a few lessons under my belt and was able to feel comforatable and confident to speak and understand Spanish which I was delighted with. I strongly recommend Sebastiana as a tutor as lessons are tailor made for each student and you always learn and improve every time. I have also enjoyed learning about Spanish culture, geography and lifestyle through general conversation too! SebastianaFrom Phil (4/5): Early days, but it is apparent that Sebastiana knows how to teach my boys, so I look forward to have fluent speaking children in a year. SebastianaFrom James (5/5): Excellent and professional tutor. Sebastiana provides effective and stimulating lessons - you will not be disappointed. SebastianaFrom Gregory (5/5): Sebastiana has provided a good structured system of lessons which have helped improve my Spanish across speaking,listening,reading and writing. She is extremely friendly and enthusiastic and makes a huge effort to ensure I gain the maximum out of my lessons. I would recommend her to anyone seeking to progress and improve the Spanish across all levels. SebastianaFrom Gerard (5/5): Excellent, couldn't ask for better. SebastianaFrom David (4/5): My daughter has only had 2 lessons so far, so it is still early days. However, I do know that she has found her lessons enjoyable even though she has to listen hard to Sebastiana's accent. Sebastiana is very accomodating and I have every confidence that my daughter is going to pick up Spanish quickly under her and do very well. SebastianaFrom Ros (5/5): Sebastiasna has been great for my husband & I so far. We have had three lessons and are already feeling more confident than previously. She has taken on board exactly what we are looking for and our requirements and is tailoring lessons to meet these. All in all excellent and I would recommend her to anyone. SebastianaFrom Deepall (4/5): Sebastiana's teaching technique is better than my school's teacher. Her way of teaching is clearly understandable. She is teaching me what I had been taught in school. I am very grateful that she is my tutor.